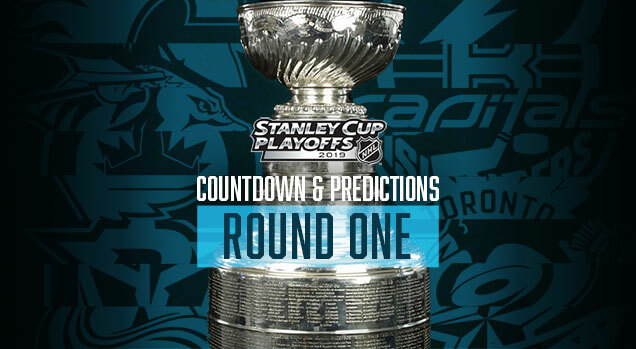 For going on seven years now, we’ve made predictions for all the playoff rounds based on the branding of that team, and since it’s that most wonderful time of the year when the most difficult and gruelling tournament in all of sports to win the most beautiful trophy in all of sports begins again, we’ll do all this again for the eighth year in a row. So over 6 post-seasons, we’re 53-for-105, or 50.5%. I think we can now definitively say that good branding and design will help you win an extra 0.5% in the playoffs, right? Right? In the playoffs, you gotta give it 100.5% each shift. For the second year in a row, the Avalanche are stuck at the bottom of the jersey match-up rankings, and once again, it’s not really their fault. 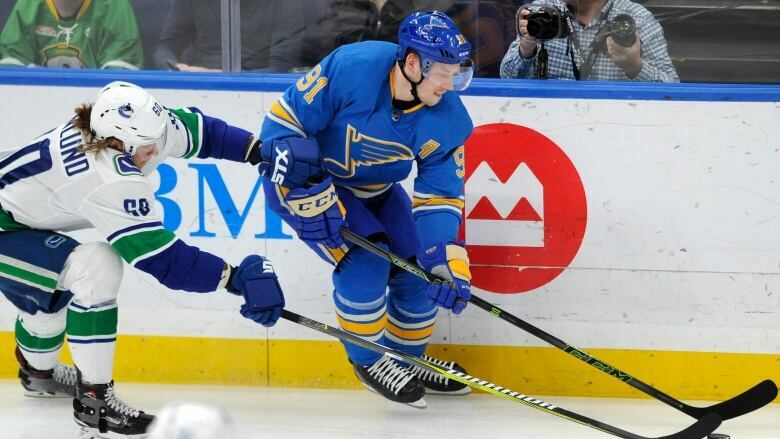 They continue to get stuck playing against jerseys that don’t look great with theirs. Last year, it was Nashville. This year, it’s Calgary, who own of the worst jersey sets in the league. But, they’ve announced that for the games in Calgary throughout the playoffs, they’ll be wearing their fantastic old-school alternates. It gets them some points, but it still leaves this match-up in the basement. The main reason is that the colours on these jersey just clash the more you look at it…grating on your eyes and becoming painful to watch. The red, the burgundy, the blue, the yellow, the black, the silver, the clashing styles, it’s just too much of things that don’t work well together. 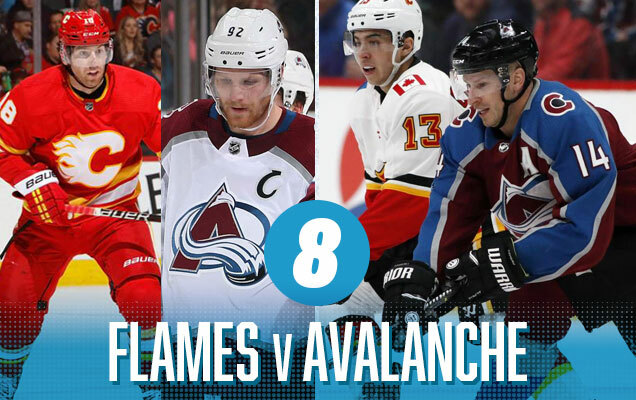 Calgary Flames Visual Brand Ranking: 8th. 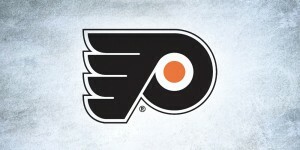 Their logo, visual legacy, and alternate jerseys were easily ranked in the top 10. Their regular jersey set? Easily one of the worst in the league. Luckily they’re not wearing them at home this playoff season. 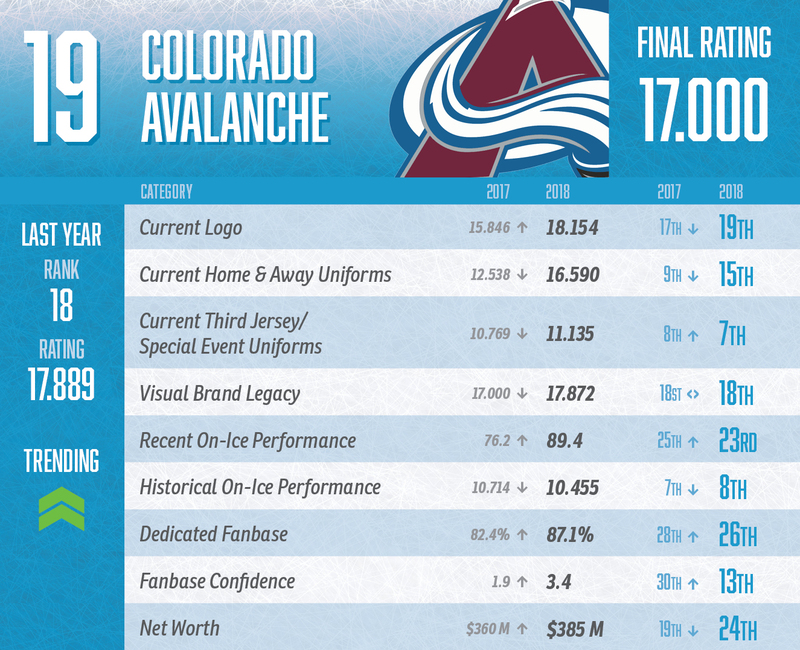 Colorado Avalanche Visual Brand Ranking: 16th. Their third jerseys are nice, but the rest of the visual brand is decidedly middle-of-the-pack. Where the previous match-up had way too much going on, here there’s just a lot of red and white. The Capitals do their best to make sure there’s some blue in there too, but let’s be honest. 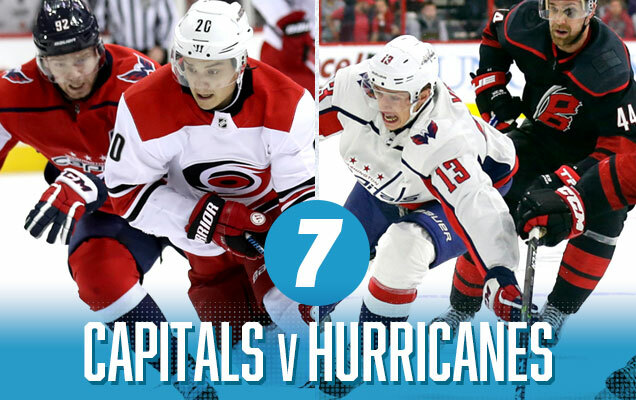 These Caps jerseys aren’t that great and it’s hard for anyone outside of DC to get too excited about seeing them regularly, especially against another team that also predominantly wears red. Speaking of which, the Hurricanes have announced they’re ditching their solid red home jerseys in favour of the black alternates, which is disappointing since they’re clearly the least of the jersey set. I’m here for them wearing Whalers gear in the playoffs though. Oh, and I’m here for the playoff Storm Surges. 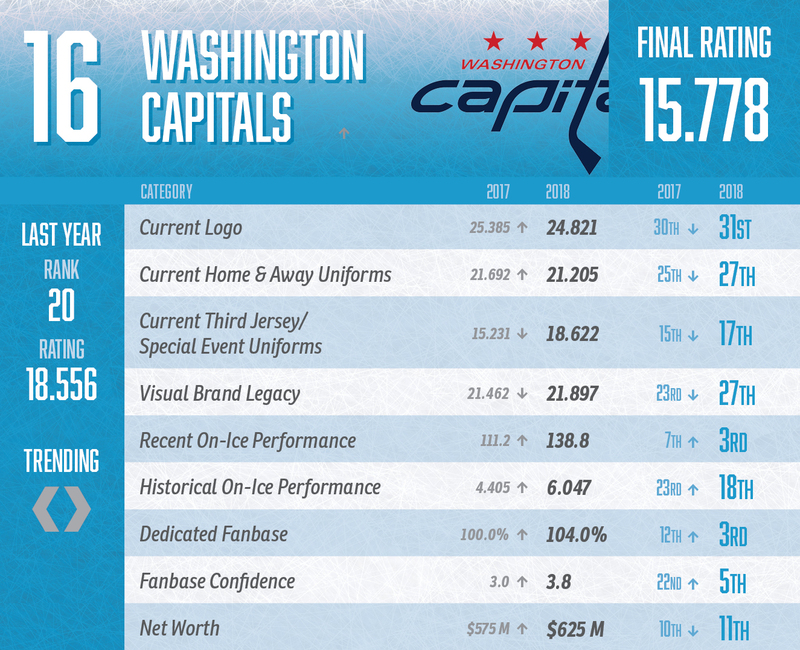 Washington Capitals Visual Brand Ranking: 30th. Being burdened with the consensus worst logo in the league isn’t going to help any brand, but lacklustre efforts with their jerseys – and, let’s be honest, they’ve never worn a really great jersey ever – means that they’re not really improving through any other category either. 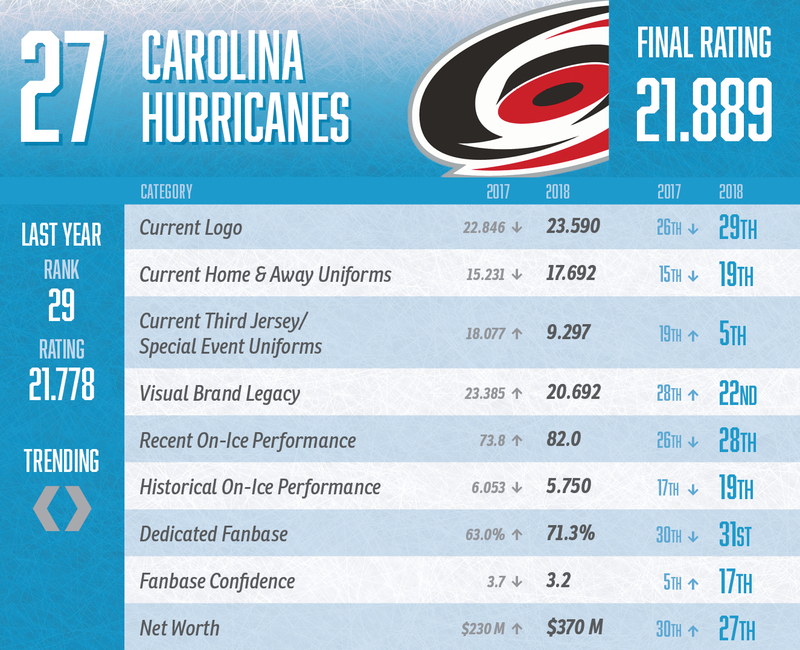 Carolina Hurricanes Visual Brand Ranking: 19th. 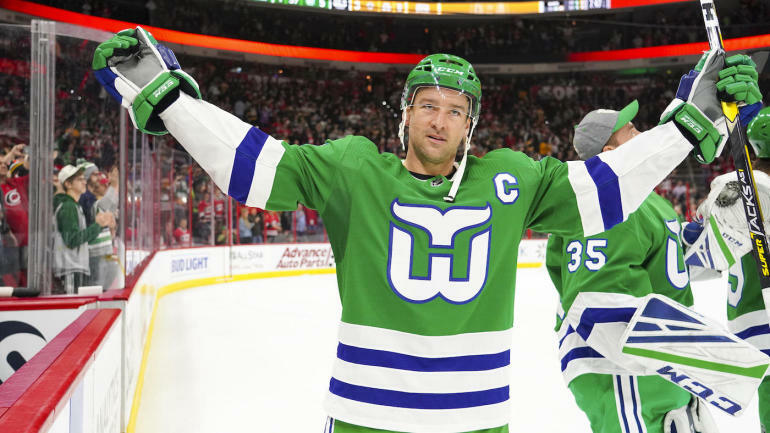 Carolina’s logo ranking doesn’t fare much better, but they have better jerseys and – all apologies to Connecticut – seeing those amazing Whalers unis on the ice again was absolutely fantastic! Having them as part of their legacy brand certainly helps. The previous match-up was a whole bunch of red with a little bit of blue. This reverses that with a whole bunch of blue with a little bit of red, giving it the same relatively uninteresting match-up from an aesthetic standpoint. 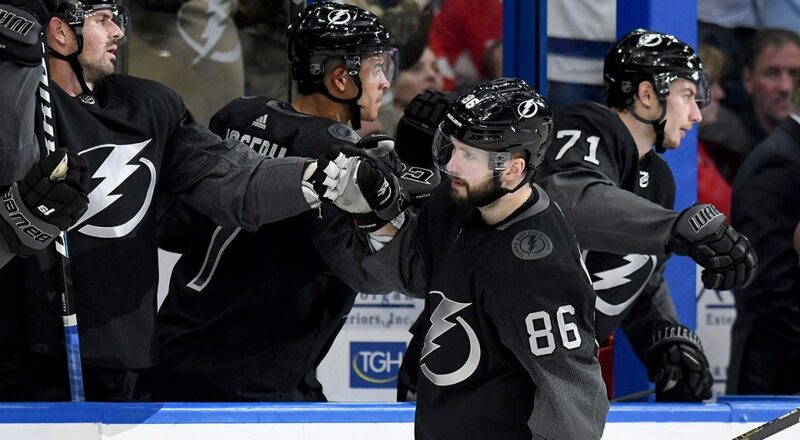 But, it gets a higher ranking since there’s no bad black third jerseys being worn here (just kill those things Tampa), and they’re just better jerseys as a set. 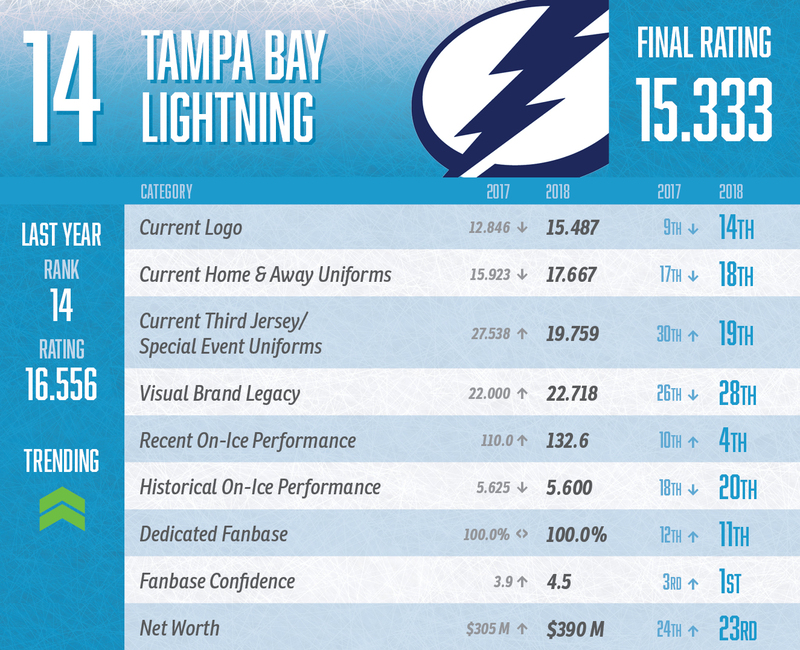 Tampa Bay Lightning Visual Brand Ranking: 20th. 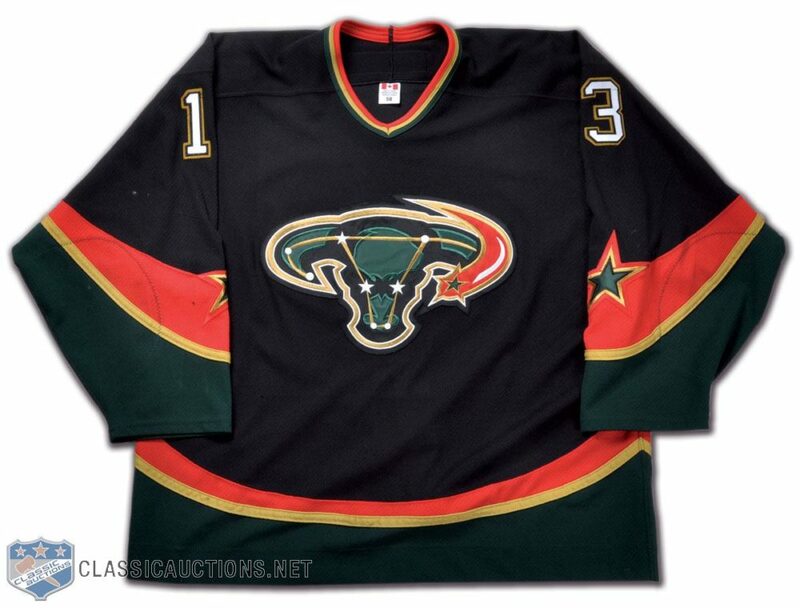 Decent logo, pretty good uniforms, and a disastrous jersey legacy featuring some of the worst things that ever graced the ice, not to mention their newest addition to the third jersey nightmare library. It all leads to a middle-of-the-road ranking. Columbus Blue Jackets Visual Brand Ranking: 26th. 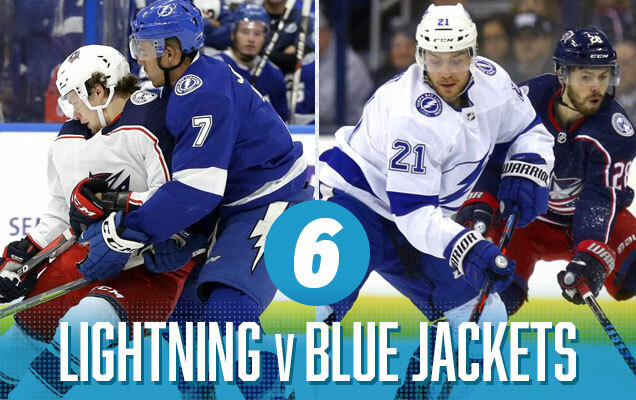 Columbus continues to rank as having one of the worst visual brand legacies in the league. Uninspiring jerseys and mediocre results elsewhere in their visual brand keeps them well in the bottom part of the league. The saving grace, keeping them from falling too far in the basement is their third jersey. 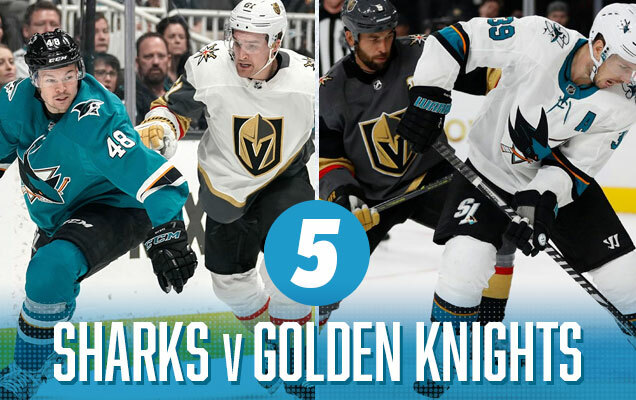 A rematch of the Western semi-finals last year, featuring the Sharks’ simplistic and classy teal jerseys which makes the Knights’ road whites look too circus-esque (sorry, still not a fan of the white gloves), and the Sharks over-simplistic road whites don’t bring enough colour to an otherwise grey vs white matchup. There’s some good elements interacting here (teal and gold) but overall, there are still better matchups this round. I haven’t heard anything, but if the Sharks decided to wear their black third jerseys, that changes everything and this ranking drops near the bottom. Vegas Golden Knights Visual Brand Ranking: 27th. The Golden Knights got some decent points for their jerseys, but the consensus take on their logo is that is buried in the bottom half of the league. Understandably, there’s no visual brand legacy to rely on either. San Jose Sharks Visual Brand Ranking: 24th. 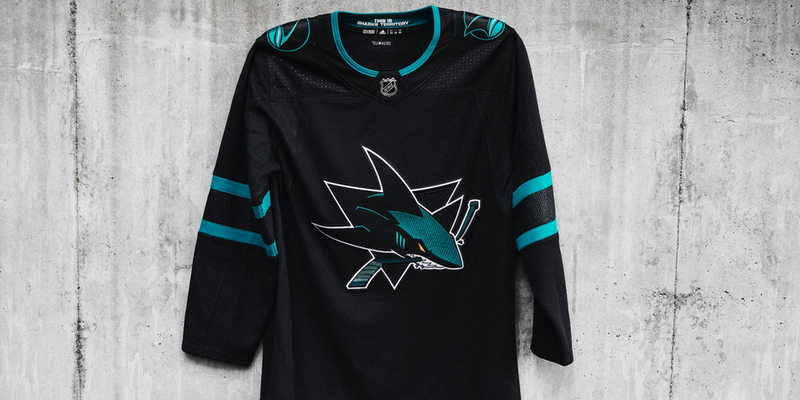 The highest points the Sharks get with their visual brand is for their third jerseys, which confuses me as, personally, I think they’re boring and awful. 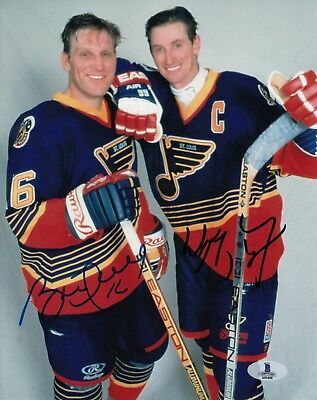 And if that’s the best part of your brand (it’s not, as the teal jerseys are great), you’re in trouble. But, the Sharks get lucky this round! 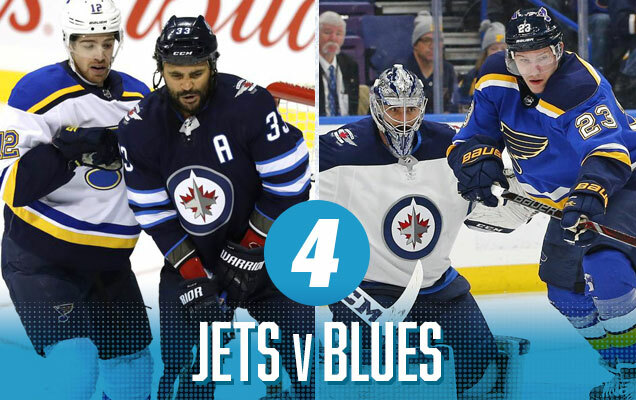 It’s another predominantly blue vs blue match-up, but the Jet’s royal blue accents match perfectly with the Blues’ jerseys, which also bring a punch of yellow to the table. The stripes on both jerseys really work together well, maintaining a consistent look and aesthetic. Although there’s still a lot of blue, there’s also a lot to like here. Winnipeg Jets Visual Brand Ranking: 25th. The Jets took a big hit in this year’s visual brand component of the Brand Power Rankings from not bringing back their heritage third jerseys for this season. The rest of their visual brand (logo, jerseys, visual legacy) is considered mediocre at best. 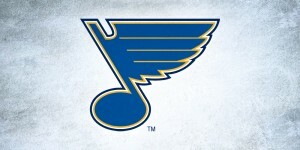 St Louis Blues NHL Brand Power Ranking: 10th. 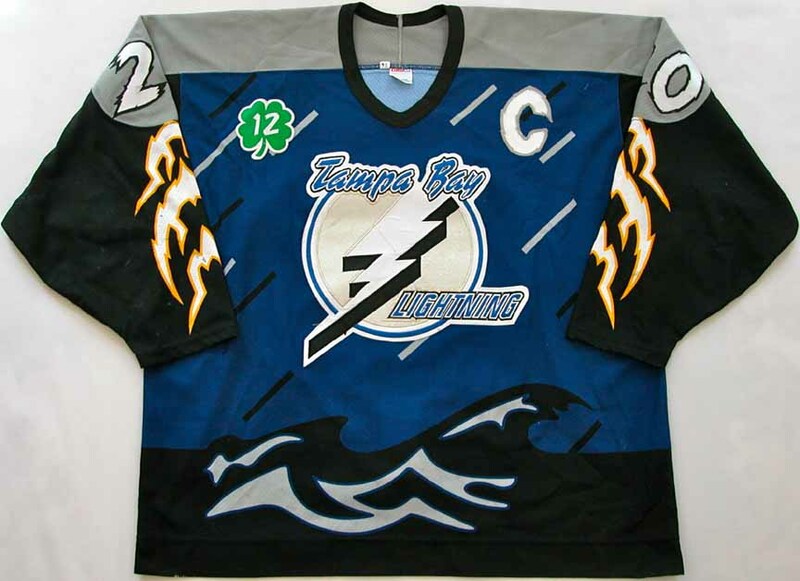 Their brand is solid, with their logo, jerseys, and visual legacy all in the top half of the league, with their historical third jerseys being among the absolute best in the league. They’ve made missteps in the past, but there’s no denying the strength of their visual brand at this point. There aren’t many better match-ups for the über-gold Nashville jerseys than the Dallas “victory green” jerseys. It’s bright, it’s aggressive, it’s contemporary, and the simplicity of the colour palettes on both jerseys make sure they’re not clashing with each other. 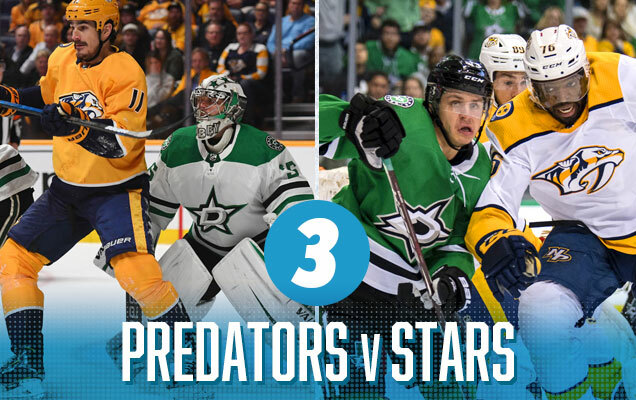 The Preds’ home golds are still too garish to really look good, but the mixture of gold/white vs green/black in Dallas are going to look fantastic. Nashville Predators Visual Brand Ranking: 23rd. Our rankings gave them one of the worst regular jerseys in the league and a middle-of-the-pack logo and visual legacy. They’ve owned the gold, and I’ve always admired their ability to push the boundaries from a brand perspective, but their jerseys just kill them. 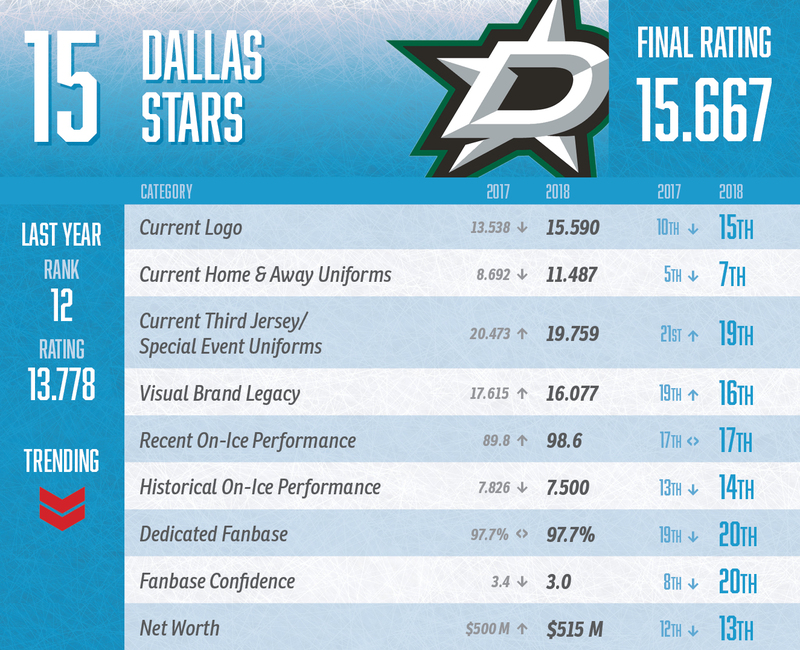 Dallas Stars Visual Brand Ranking: 14th. Basically, they’re smack dab in the middle on all their visual brand categories aside from a top 10 jersey set. Sure, we can never forget the mooterus, but it’s not hurting them too much at this point. 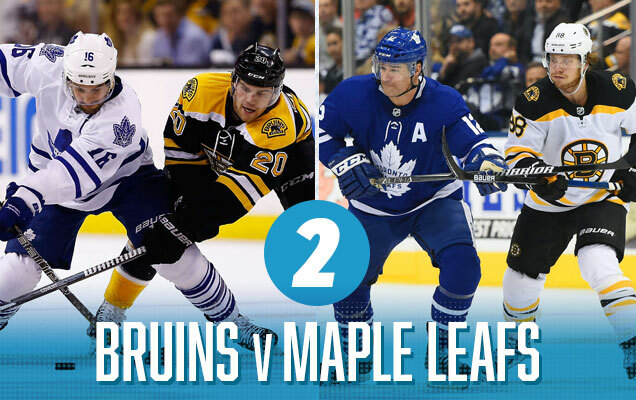 Now we get a classic Original Six matchup between the Leafs and Bruins feature classic jersey designs that use a nice amount of colour and contrast to make for a great visual matchup. It works because the Bruins bring a lot of gold into their jerseys, and the gold versus blue looks great. The game in Boston are a little bit lacklustre, mostly because of the Leafs not bringing enough blue to the table against a predominantly black Boston jersey, but hey, at least they’re not wearing all-white, amirite? Boston Bruins Visual Brand Ranking: 5th. All the Bruins’ visual brand categories rank between 4 and 7. They’re among the best in every single category from a visual brand perspective: great logo (2nd best imo), great jerseys, great legacy. They’re a beast. Really, how could they lose? Toronto Maple Leafs Visual Brand Ranking: 1st. Oh, I guess Toronto could beat them. They’ve been bestowed the best logo and among best visual legacy in the league in our 2018 visual brand rankings, so it’s tough to see anyone somehow getting by the Leafs here. 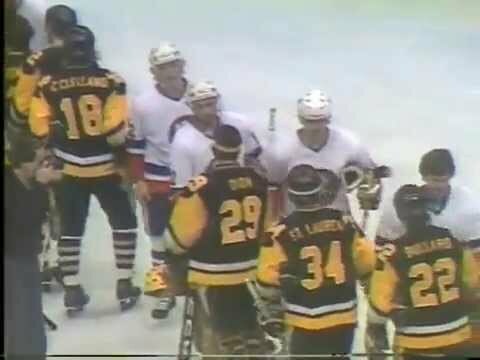 Although those white jerseys hurt them a bit, they’re an even bigger beast than the Bruins. Top spot goes to two teams who experimented with different visual brands and jerseys throughout the ’90s and ’00s, and then came to their senses and brought their classic ’80s looks back. And it’s pretty glorious. The Penguins bring a large amount of gold to their otherwise black/white jerseys to compliment the Islanders’ blue-orange colour scheme. 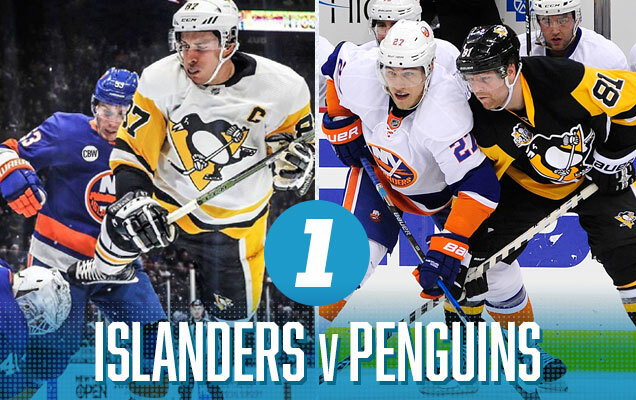 It’s a large amount of colour, the styles are similar and complementary, and the games both in Pittsburgh and Long Island will look great. 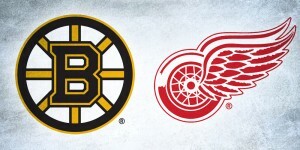 Aesthetically-speaking, it’s the best matchup of the first round. 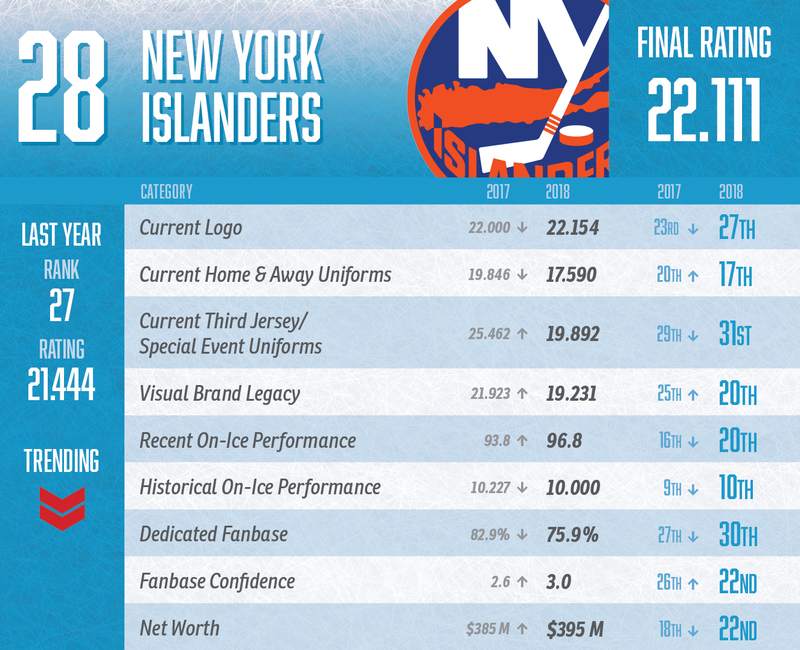 New York Islanders Visual Brand Ranking: 29th. 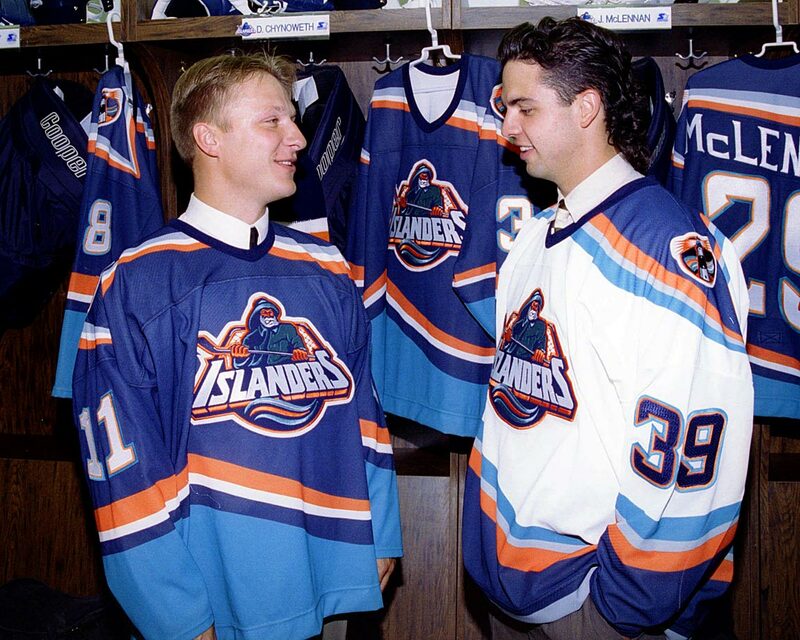 Their current classic look is great…for the Islanders. The consensus is that they still don’t have a great logo, their jerseys are not too bad, and nobody seems to like their third jerseys. Oh, and Captain Gorton is still too recent to be completely forgotten. Pittsburgh Penguins Visual Brand Ranking: 9th. While the Penguins don’t necessarily excel in any of the visual brand categories, they definitely don’t suffer in any of them either (especially with their new/classic jerseys), with no categories ranking lower than 13th. It allows their visual brand squeak into the top third of the league.